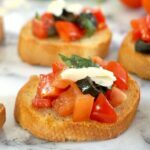 Italian Tomato Bruschetta, a posh and tasty Italian starter for any occasion. 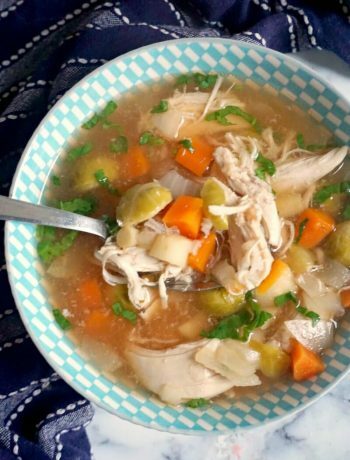 It might look simple, but it’s heavenly flavourful and tasty. 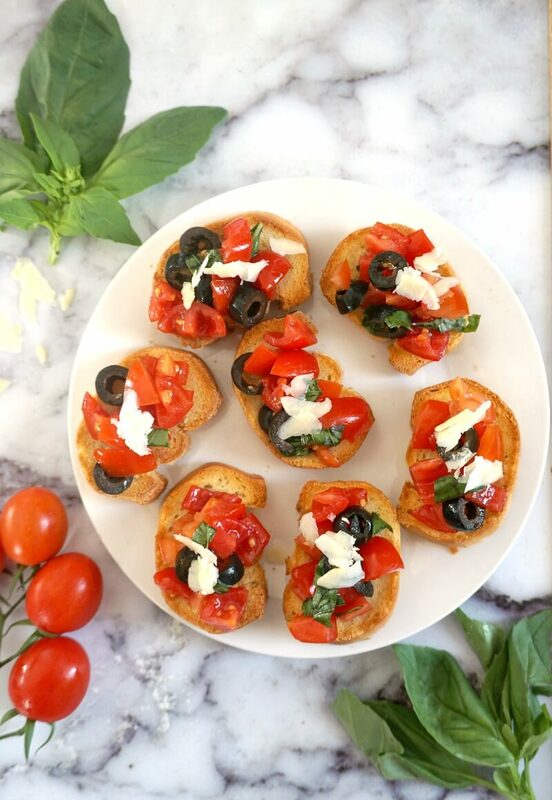 Bruschetta is an Italian appetizer dish consisting of grilled/baked bread that is brushed with garlic and olive oil and there are various toppings you can choose from. 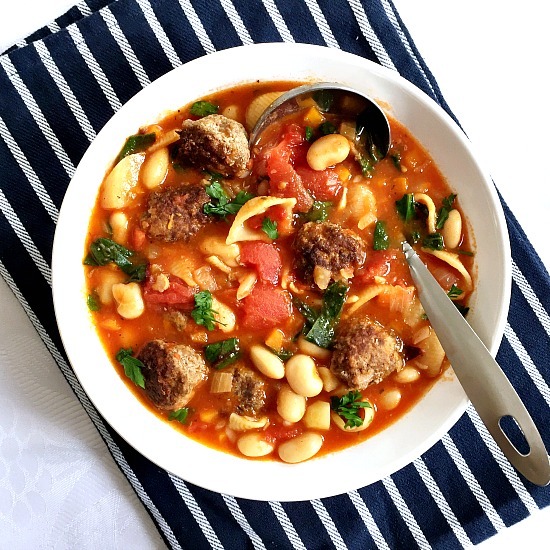 The most famous one and most-loved must be the tomato topping, but other may include cheese of any type, peppers, black olives, basil, beans, cured meat and so on. It is all up to one’s taste and imagination, really. 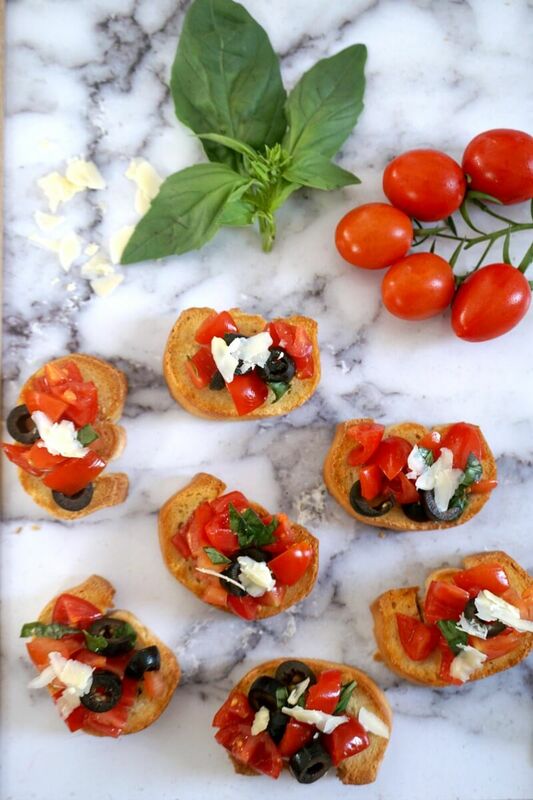 Most Italian restaurants will have bruschetta as a starter dish or appetizer. Light, tasty and healthy, one can never go wrong with it. I opted for cherry tomatoes, , black olives and basil, and I got a fantastic treat. Who said that tasty food has to be fancy or expensive? I absolutely adore this starter and am sure you will want to have a try, it’s so easy. Since l mentioned restaurants, can you believe that bruschetta can be so expensive? I mean, after all it’s just a few slices of bread and veggies, and they charge anything from £5 up? Really? That’s a rip off, l let you know. With that money you can make some delicious bruschetta at home to feed the entire family, and the entire neighbourhood perhaps. I might be exaggerating, but still. 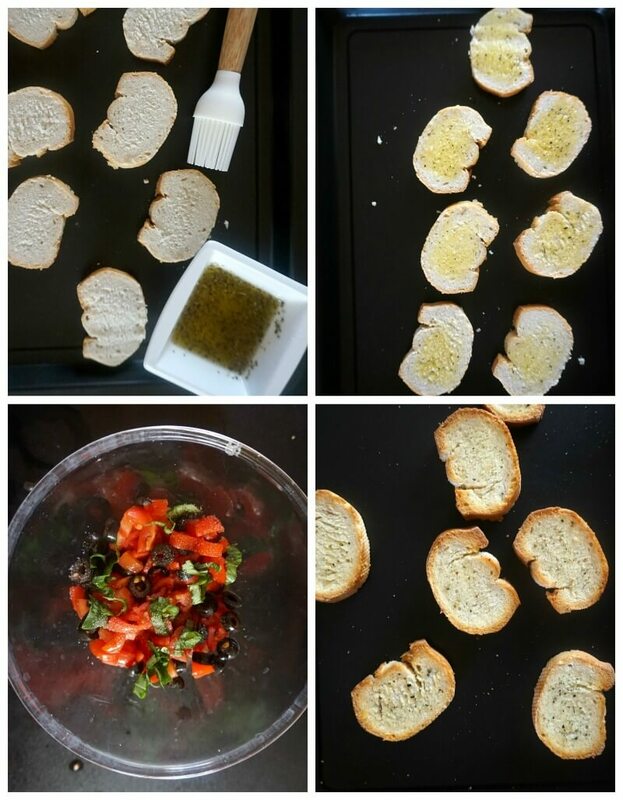 You can use any kind of bread for your bruschetta, there’s no right or wrong here, although baguette is my usual choice. If you want to prepare it in advance, I would have all the ingredients cut up and stored in the fridge, and the bread slices baked, so that all you need to do before serving is assemble it, othewise the bread could become soggy if left around for too long. The simple tomato toppic is epic, and it’s always a hit on matter the season. You could have these little beauties at any party, be it the New Year’s Eve party, Christmas party, or a nice gathering right in the heat of the summer. Party food can be time consuming to prepare, especially if you go for lots of fancy ingredients. But no need to worry about wasting time, in about 15 minutes you have the best tomato bruschetta on a plate ready to be served. Quick and easy finger food, and all you have to worry about is having fun entertaining your guests. And if you are looking for other equally delicious and easy to make party appetizers, why not try my collection of yummy finger food? I certainly like food that can be prepared quickly, but that is super delicious. 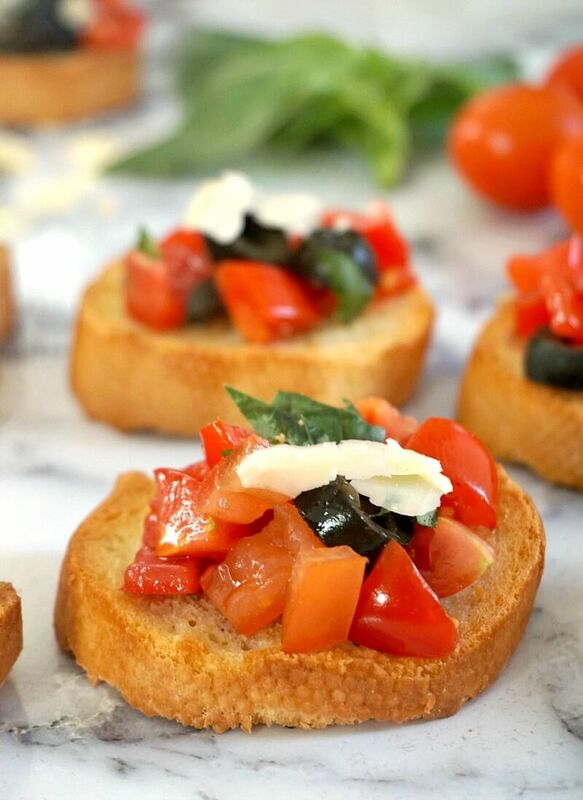 If you’ve liked my BEST ITALIAN TOMATO BRUSCHETTA RECIPE or any other recipe on the blog, then don’t forget to rate the recipe and let me know how you got on in the comments below, I love hearing from you! You can also FOLLOW ME on FACEBOOK, and PINTEREST to see more delicious food and what I’m getting up to. Preheat the oven to 200 degrees C (390 degrees Fahrenheit). Mix the olive oil, minced garlic and herbs, and lightly brush each baguette slice with it. 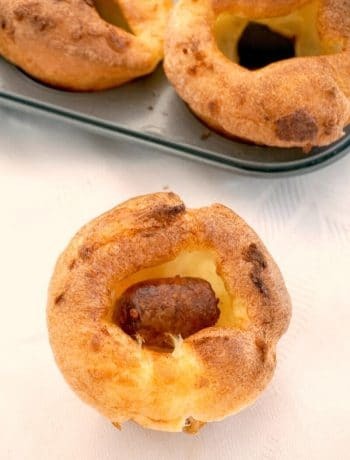 Arrange on a tray, and bake for about 10 minutes until lightly brown and crispy. Meantime, cut the cherry tomatoes, slice the pitted black olives, and add them to a bowl together with the basil. Season with salt and pepper, add the balsamic vinegar, and mix well. Remove the bread slices from the oven, leave to cool, then top with the tomato mixture and shaved parmesan.